Natasha Kmeto is an electronic producer/vocalist dedicated to the art of emotional engagement. Writing, producing, and performing all her material, Kmeto combines her sensuous voice with a dancefloor ethic, exuding a thoughtful physicality that rewards openness and vulnerability. Stylistically she explores the lines intersected by RnB, soul, and dance music, built using an electronic toolkit developed by years of discipline. She’s most at home when on stage, singing to her fans’ hearts and playing to their bodies. Natasha tours nationally out of her home base in Portland, Oregon. Her long list of notable live performances include a 2014 national tour supporting TV On The Radio, gigs at Coachella, Bumbershoot, MusicfestNW, Electric Forrest, Symbiosis, SXSW, Low End Theory, and Decibel Festival. She has shared the stage with a number of talented artists including Beacon, Four Tet, Squarepusher, Flying Lotus, Flume, Machinedrum, Dam Funk, Kode 9 and Shlohmo. Releases by Natasha have been featured by many acclaimed media outlets including NPR, Pitchfork, Spin, Fader, Resident Advisor and Rookie. 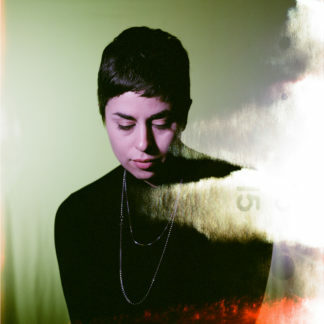 Her radio experience includes live performances on Boiler Room and KEXP, and her tracks have been played by numerous tastemaking DJs including the legendary Mary Ann Hobbes.